For four years now, net wage growth has been much higher than productivity and, as employers’ earnings have not increased with the wage advance disproportion has moved to Romania’s foreign payments. If the employer, whether private or state-owned, cannot offset the rise in wage costs through a corresponding revenue increase, it will either cut other costs or diminish its surplus, “if it would still have one,” explains Horia Braun Erdei, the Chief economist of BCR, in the bank’s monthly report on Romania. As the “wage costs roller” seems unstoppable, the employer comes to registering a loss or a deficit – in the case of state-owned ones. And deficits are paid by higher interest rates and, ultimately, lower inflation and purchasing power. 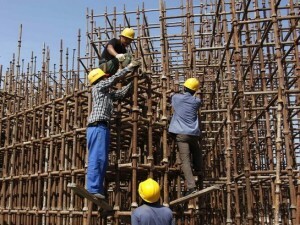 “We have the following evidence: after four continuous years when wages in the economy grew faster than productivity (Chart 1), deficits rapidly gathered in the foreign trade and current account of the balance of payments, as well as in the public sector (Chart 2),” according to the report. On the one hand, the Government tells the European Commission that it will fall into the structural deficit target by freezing wages in 2019, but the Finance Minister says in the country that it is just a “scenario” and not a commitment. “The government also has no problem going to Parliament with a draft law on pensions that involves massive future spending, without specifying in any way how to finance them,” recalls Horia Braun Erdei. At the same time, “as if the problem of salary costs is only in the public sector, because, isn’t that so, the private sector is mature enough to manage that, the Government pushes forward a new round of the increase in the national minimum wage,” adds the economist. The current account deficit will not delay in putting pressure on the Romanian currency, which is hard to bear with the only support of BNR policy, especially as internal factors (the “twin deficits”) add to external ones, namely the increasing attractiveness of the dollar, as a result of the interest increase. However, “while in the past the Romanian leu has been protected to a certain extent by the interest rate increases decided by BNR, it was not the case anymore now, and the national currency seems to be heading a rather weak end of year,” writes analyst Eugen Sinca, in the same report of BCR. 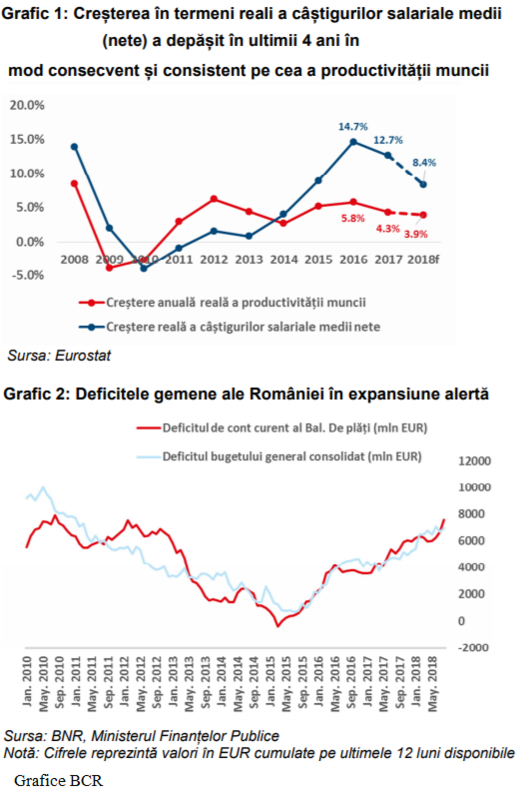 “Romania’s significant foreign deficit, which overall means high imports of goods and the repatriation of foreign currency to other countries, maintains Romanian currency’s depreciation trend in an external context that affects almost all emerging economies,” the analyst concludes. BCR estimates the exchange rate at 4.68 RON /euro at the end of the year.